London, ICC Champions Trophy 2017 will be played next year in which Pakistan and India will be included in the same group. It is revealed by the sources, that the traditional rivals will play their match on 04 June at Edgbaston, Birmingham. In this group, two other teams are South Africa and Sri Lanka and Pakistan will play other two matches with these teams on 07 and 12 June 2017. The inaugural match of the event will be played on 01 June between host England and Bangladesh. The semi final matches will be played on 14 and 15 June while final of the Champions Trophy will be played on 18 June 2017. 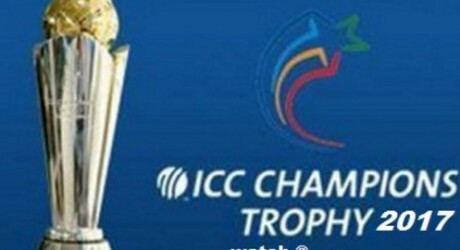 The schedule of the Champions Trophy will be declared on Wednesday.